Vanguard-SEDONA 34 (Blue) The Sedona 34Backpack is the perfect bag for photographers needing to carry and protect their gear while hiking a trail or traveling cross town. 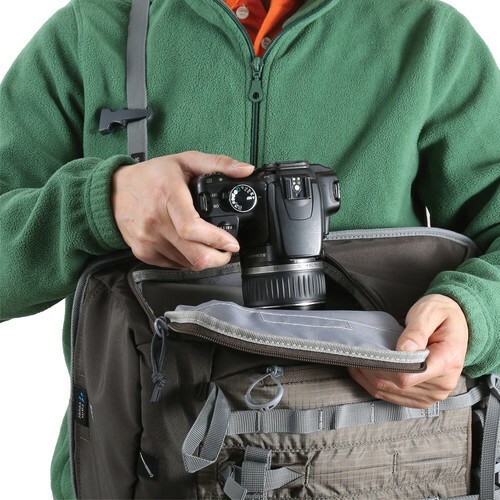 This tri-colored black Sedona 34 DSLR Backpack from Vanguard holds a DSLR with an attached lens, two additional lenses, and a flash between padded touch-fastened dividers within a detachable camera insert inside a rear-access gear compartment. 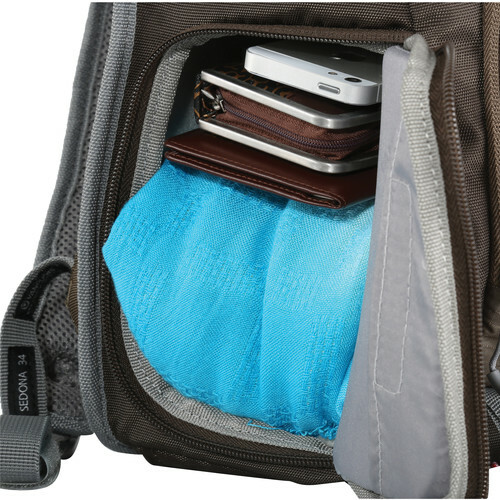 The backpack features a front zippered pocket for storing your iPad or a similar-size tablet in a protective case. For your accessories, there is a spacious zippered storage compartment at the top. There are two side mesh slip pockets that will hold a water bottle to keep you hydrated. 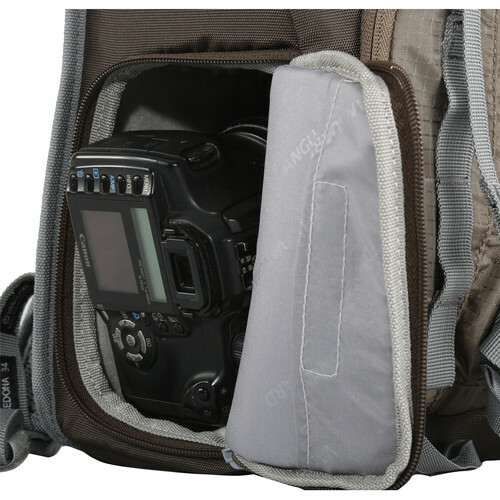 Also, together with an attachment strap at the top, one of the mesh slip pockets works as a side tripod attachment. Alternatively, you can attach your tripod to the front of the bag using two straps provided there. 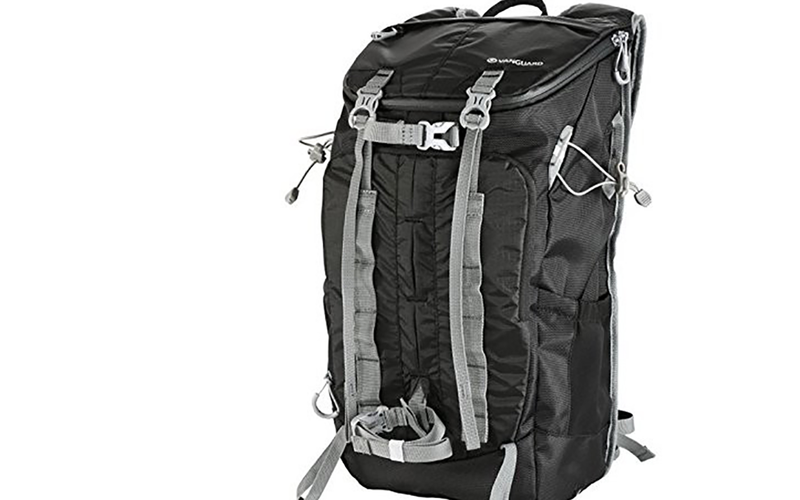 There is an ergonomically padded back panel for comfortably carrying the backpack, which features padded shoulder straps with both sternum and waist belts. A top grip handle allows you to quickly grab the backpack on the go, and a removable rain cover protects your gear in unpredictable weather.